Hirsch Bedner Associates (HBA) has completed the design of Fairmont Maldives, Sirru Fen Fushi, which translates to Secret Water Island. The 120-villa luxury resort is located on a 1,722,225-sq.-ft. (160,000-sq.-m.) island and features one of the largest lagoons in the Maldives. The resort includes a 656-ft. (200-m.) swimming pool that traverses the length of the island, a semi-submerged underwater art installation created by underwater naturalist and artist Jason deCaires Taylor and an intricate open air bamboo bar created by Balinese artisans who did not use any man-made materials in the structure. 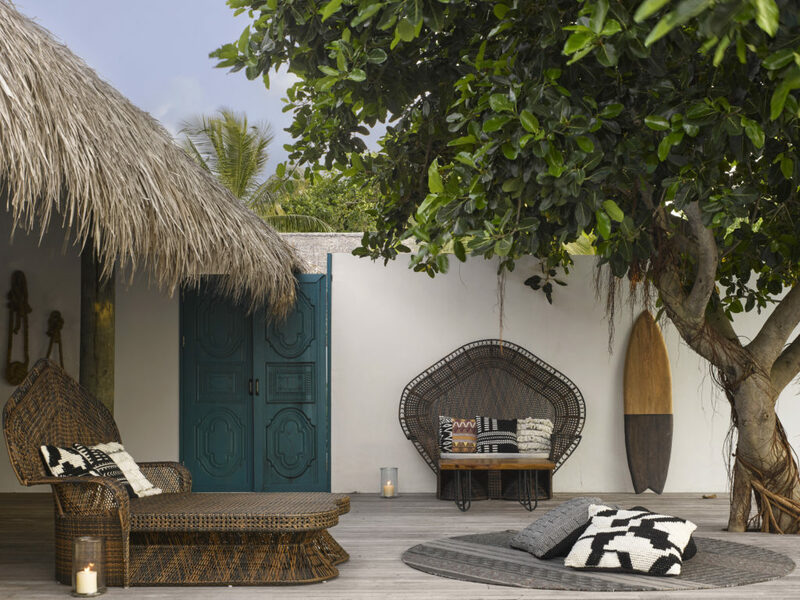 Sirru Fen Fushi embodies a tropical eclectic style where HBA derived inspiration from both tropical modernism and a barefoot luxury aesthetic for a chic, yet rustic, result. 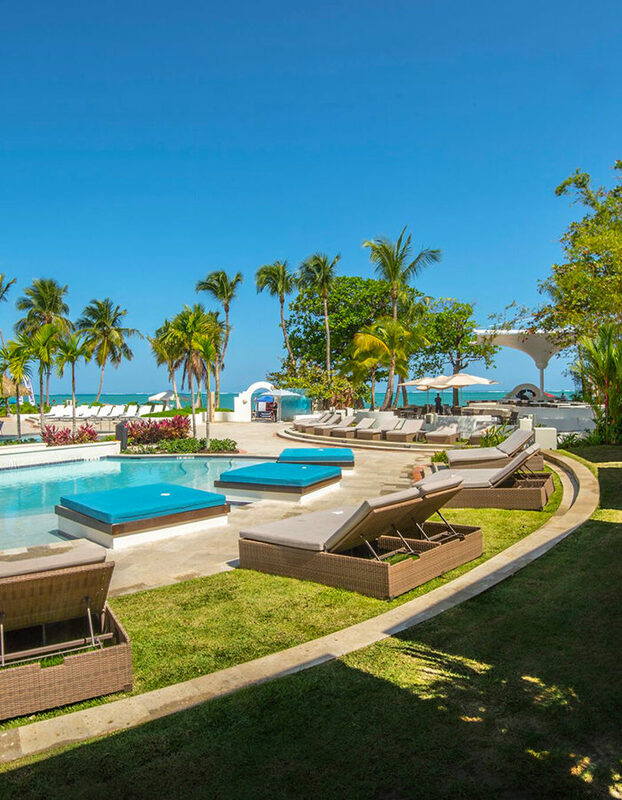 Local crafts are combined with an artistic twist to create an eclectic mix and unique experience for guests. Furniture and finishes are inspired by found objects and natural systems discovered on the island itself. From the moment the guest steps onto the arrival platform, they see natural elements with a contemporary approach. 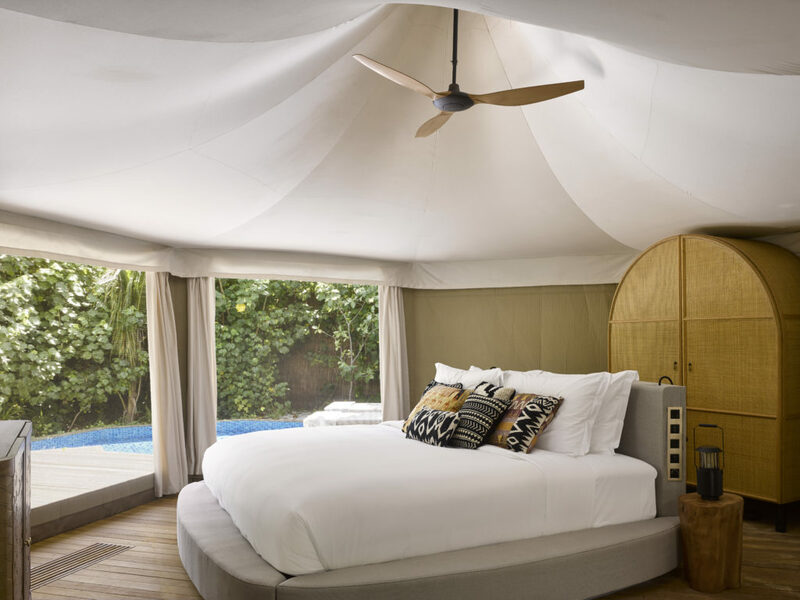 The water and beach villas have a natural palette of hand troweled plaster walls, bleached teak, natural fabrics and a turquoise pop of color inspired by the Indian Ocean. 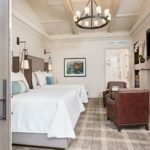 A decorative woven headboard inspired by local craft drapes down from the ceiling and is a backdrop for the carved wood furniture inspired by the islands driftwood. A hammock resembling the Joli, a Maldivian chair, swings with the ocean breeze. 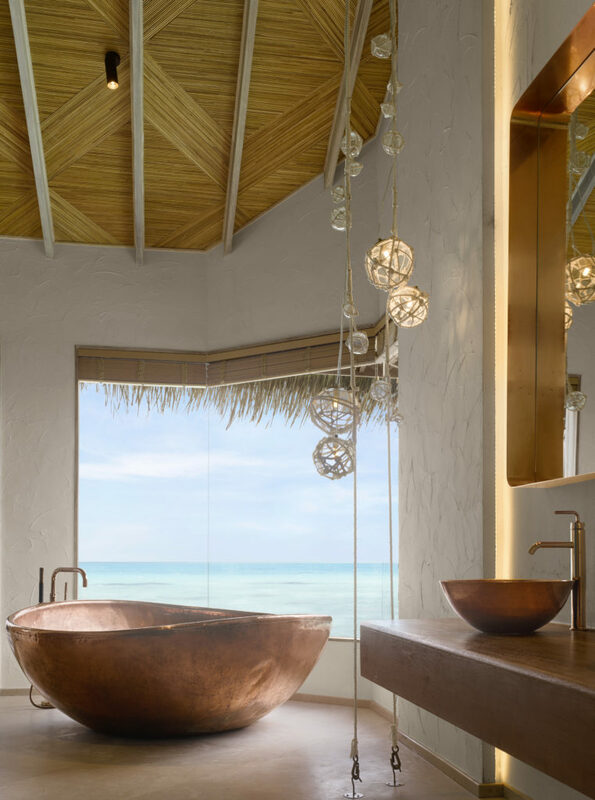 A giant copper bathtub glows in the light and copper accents adorn the room like jewelry. The tropical eclectic style continues throughout the public areas. 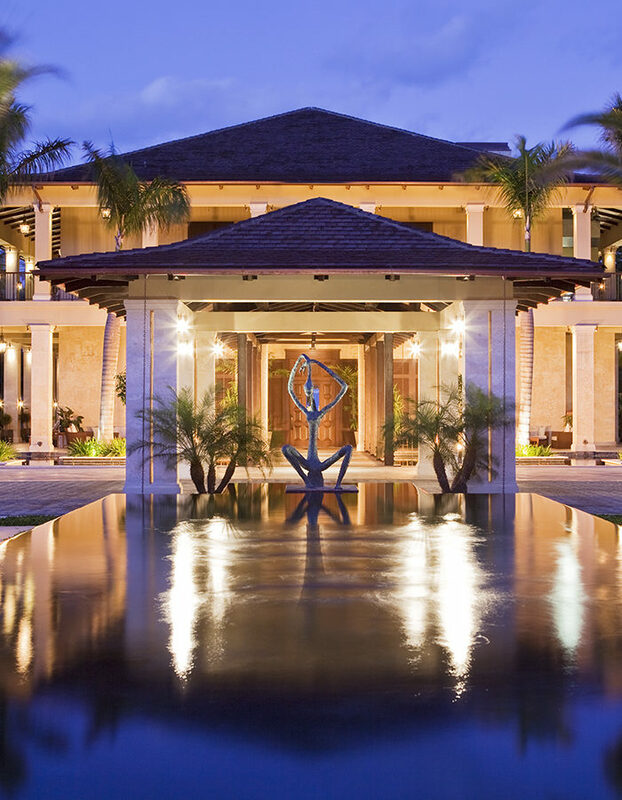 The resort center houses a mix of local objects that tell the island’s stories. It is a gallery of local craft and art. A featured olfactory cabinet displays both indigenous herbs and traded spices so the guests can start their journey with island scents such as cardamom and cinnamon. These spices will continue in the guestroom amenities. The arts and craft center is a place where the guests can engage in these local crafts displayed in the resort center. Classes such as painting, pottery and jewelry making are taught by an artist in residence. 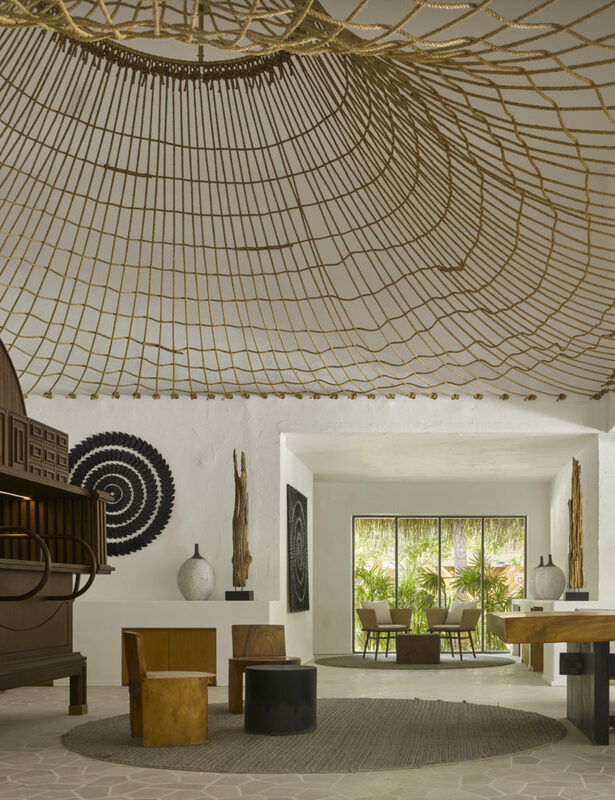 There are further tropical eclectic styles in the retail center, where artful ropes are woven into compositions and carved wood details showcase the local fashion. 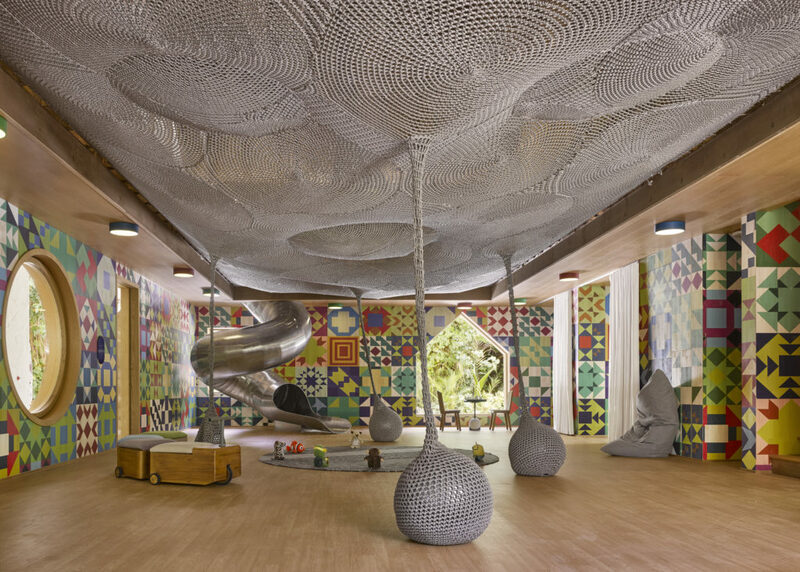 Additional features include a pool bar which has a woven structure, a gym with three main features, a Thai boxing ring, indoor air conditioned gym and an outdoor jungle gym, a kids club with woven nets, a slide and wood panels on the walls. The spa is inspired by the four elements: water, air, earth and fire. Each element is present in the treatment rooms with a bathtub sitting over a tranquil reflection pool, an ambient flame over the water, lush garden vegetation and optional open air massage.